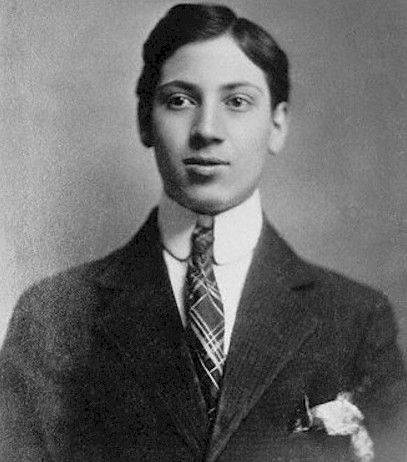 As many New Yorkers know, the Marx Brothers, including Adolph “Harpo” Marx, grew up in a crowded tenement at 179 East 93rd Street, off Third Avenue. That’s in upscale Carnegie Hill today. 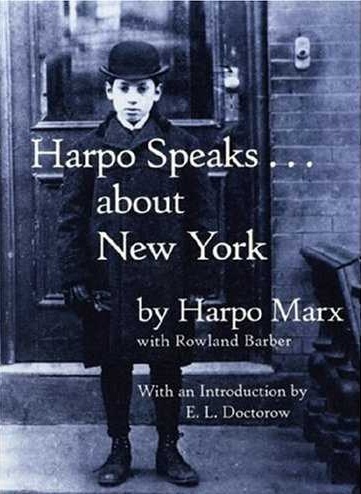 But in the 1890s, during Harpo’s childhood, it was “a small Jewish neighborhood squeezed in between the Irish to the north and the Germans to the South in Yorkville,” he writes in 1961’s Harpo Speaks…About New York. His recollections offer a glimpse into life as a poor Manhattan street kid circa 1900, when ethnic background determined everything. Life in New York at that time wasn’t all about being bullied. After quitting P.S. 86 when he was eight, Harpo watched tennis games in Central Park, went sledding with a dishpan, and swam off the East River docks. He also dodged the ticket takers on trolley cars so he get around without paying the fare, and he watched Giants games for free at Coogan’s Bluff above the Polo Grounds near 155th Street. This entry was posted on November 21, 2011 at 5:16 am and is filed under central park, Music, art, theater, Schools, Transit, Uncategorized, Upper East Side. You can follow any responses to this entry through the RSS 2.0 feed. You can leave a response, or trackback from your own site. 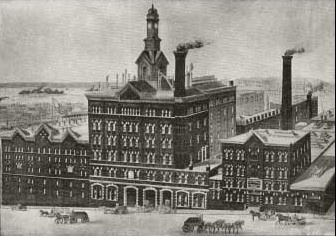 where is the picture of Ehret’s brewery from? Ah, thank you for reminding me to credit the source of the image: Beerhistory.org, a fascinating site. In the 80’s we called that area “Preppy Harlem”. Harpo Speaks is such an enthralling read. I love the resourcefulness of little Harpo nabbing scraps from the local butcher to bribe a watchdog, then sneak into the brewery owner’s garden and steal his peaches. I know, he’s plucky. I wish I had room to include the story of how he was literally thrown out of the school window at P.S. 86 by Irish bullies when he was eight and decided to never go back. Great post. I hadn’t realized the Marx boys grew up on E. 93rd Street nor that there was a Jewish enclave there – very interesting. Even in the 70s, that area seemed predominantly German & Irish. I had no idea there was a Jewish enclave on 93rd Street either. This is the kind of tidbit I love uncovering. New York is less a collection of neighborhoods and more an assortment of enclaves. My ggrandmother and her brother grew up on East 97th & 2nd at the same time Harpo was on 93rd. Wonder if they ever ran into each other. Her brother was drowned off 99th St at the East River in 1903 when a group of boys pushed him into the river and he got caught under a barrel. Sounds like the neighborhood was, indeed, rough.